These are the days of our lives. They look lush. Big 1UP to William Thorup for that awesome artwork! I highly recommend AstroStorm for those looking for a good arcade styled shooter! Edited by Clint Thompson, Thu Oct 12, 2017 12:52 PM. Must resist buying..... Ah sod it, one of each please Al. Nice, Orion_'s final release! Been waiting for this jag port for a long time. Awww, heck ... 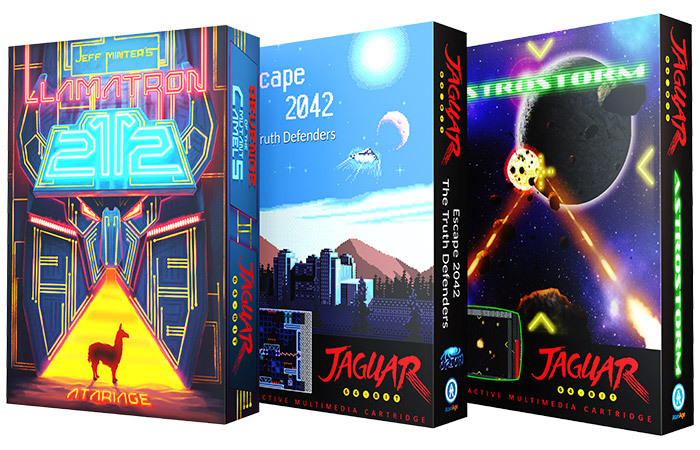 I find myself wanting an Atari Jaguar for the first time in many years. Somebody please tell me the Minter collection contains the ST versions? Are the high score eeproms functioning? It has been crazy difficult keeping this under wraps. We've been wanting to share for long! Now I know what my Tax return money is going to be use on! Edited by walter_J64bit, Thu Oct 12, 2017 3:57 PM. Escape 2042 is a nice surprise. These should be very well received, good stuff! Can't wait. At least I have three weeks to save some dough! 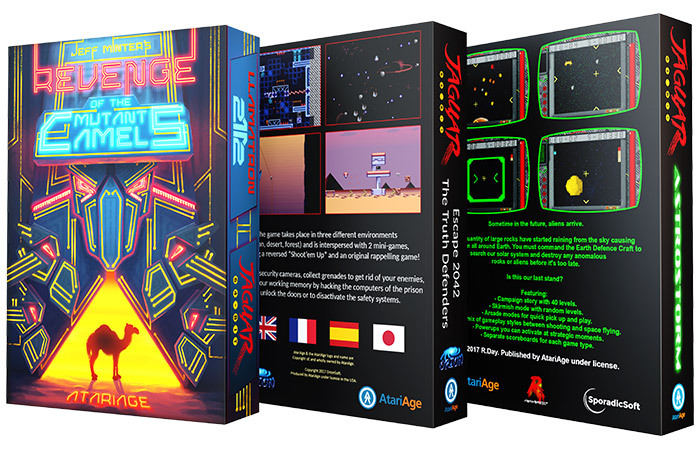 Will hopefully be at PRGE, AtariAge booth will be my first stop! Awesome news, thanks for keepin' the old cat alive. Congrats to CJ and Al. Ive been biting my tongue about this for months lol. Sweet, I'm up for these! Just putting my name in here... I will buy! Really looking forward to the Llamasoft pack! I think I'll pass on Escape, though... sounds like it was written by Alex Jones! Who made Astrostorm? Anyone know anything more about it? Looks to be an Asteroids or Rebooteroids type game? This is the one I probably know the least about, but very interested! SIDE Note: Lllamatron deserves a slick release like that Revenge of the Mutant Camels title. Edited by travistouchdown, Fri Oct 13, 2017 10:13 AM. Are these only available for a limited time?